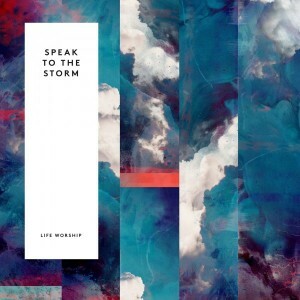 Speak To The Storm by LIFE Worship is due for release 25th May. Find out more here. In the face of an oncoming storm you have two options: run or stay. The runners rarely outpace the oncoming clouds and winds. With their back to the tumult and their strength waning they’re slowly resigned to being pulled into the storm behind them. Only now less guarded, less reinforced, and weakened. But those that stay, do so in faith. They hunker down, seek protection. To them the storm is something to be weathered, knowing that every season of storms has a beginning and an end. Speak to the Storm by LIFE Worship is an album not for those who stay. They are already safe. They instinctively turn to God for safety in the face of the disturbed states ahead of them. It’s an album for the runners. It’s for those of us who turn pale whenever the horizons darken. Whether the storms of life are pressure systems from the outside world or the eddying spirals of an anxious mind, Speak to the Storm helps us to plant our feet in the ground. It’s an instruction manual for letting God’s strength become your own. From the opening salvo of anthems, the Bradford worship collective sing of God’s consistent faithfulness and strength. ‘How Can We Not (Give Praise)’, ‘Great is Your Faithfulness’ and the brilliant ‘Miracles Happen’ remind you of the qualities of God it is easiest to forget when you’re surrounded by despair. That God is mighty, God is faithful, God is miraculous. From there is a challenge. ‘Breakthrough Here’ is a prayer of a song. It asks for God, the mountain-moving and ever-faithful seen in the previous tracks, to come into the situation we face. It almost feels like the opening songs were a prerequisite to ‘Breakthrough Here’. That we needed a reminder of God’s power before we ask it to come. The song is a still moment that builds to the point of almighty breakthrough. From there we are given a musical manual for life. Speak to the Storm shows a God who has the power to keep you safe. Songs like ‘Fearless Abandon’, ‘Peace Be Mine’, and ‘Sea of Glass’ speak directly to those feelings of anxiety, depression and negativity. They ask God to ‘calm my restless soul / silence the lies that shout me down’. LIFE Worship’s most contemplative album to date is also revealed to be their most timely, and for some the most necessary. Against a rising tide of anxiety in the world, there seem to be few defences left. Where anxiety rushes against us in torrents, we are told to cling to God like our lives depended on it. No storm is too big, and every storm has an end. The best thing you can do is plant your feet in God who is endlessly there.